Siri is not talking or available? It doesn't pick up your voice anymore? Or it is just not responding after you upgrading your iPhone to iOS 12? As one of the most useful functions on iPhone, Siri helps us a lot and it will cause some inconvenience if there are any problems with Siri. In this article, we will offer an instruction which could be the most comprehensive guide to troubleshot iPhone sire not working problem. We just want to offer as more solutions as possible so the article may be pretty long. Keep patient and find out what can help. 1. 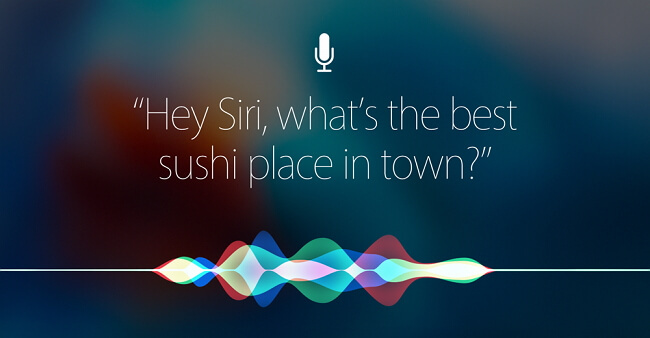 Is Siri available on Your Device? 3. 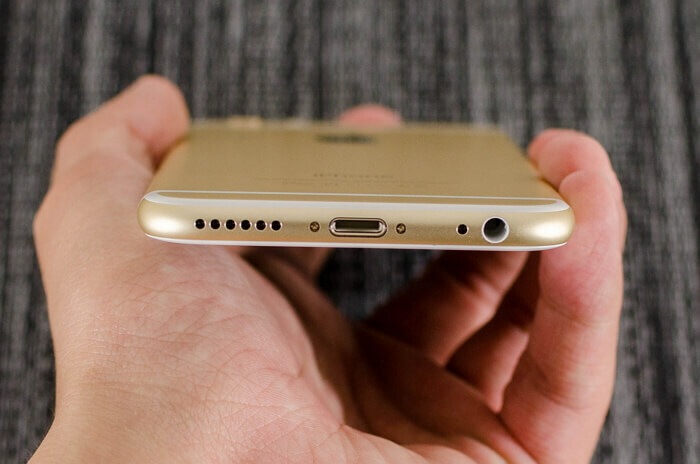 Is Your iPhone Microphone Working Well? iPhone: iPhone 4s and later. iPod: iPod touch 5th generation and later. If you use any other iOS device model, for example an iPhone 4, then Siri won't talk on it. If your device is in the scope, then go on reading the article. If you don't turn on Siri on iPhone, then of course Siri is not talking . Don't think this is impossible - sometimes this circumstance just happens. 1. Go to Settings > General > Siri and check the status of it. If it is disabled, just turn it on. If it has been turned on, just turn it off and then re-turn it on. 2. 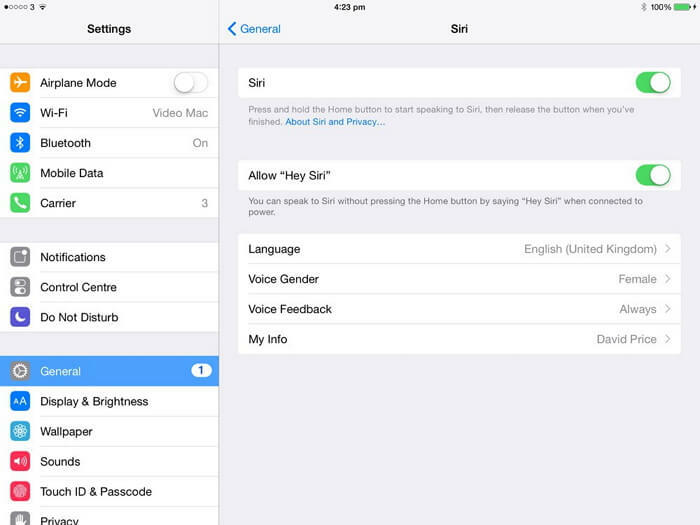 If you cannot see the option of Siri settings, just go to Settings > General > Restrictions and turn on Siri & Dictation. 1. clean your microphone hole with a soft toothbrush or a can of compressed air. 2. remove your iPhone case in case it keeps your voice from the phone. We all know that Siri may not take what you said when you spoke to it at the first time. But if you speak more and more, then Siri learns more and recognize your voice better. So before talking with Siri, think about what you will say. 1. make sure that you won't give the wrong request. 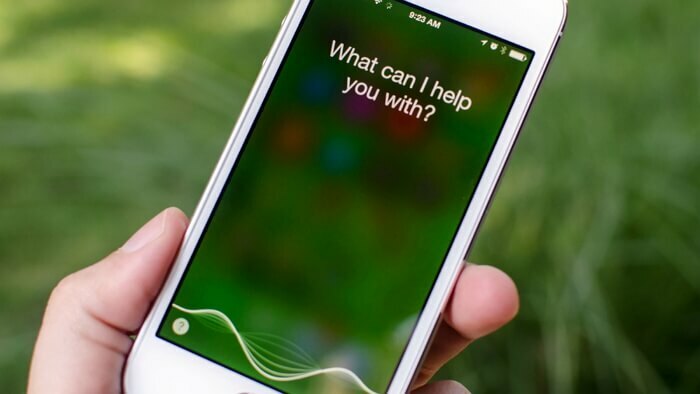 2. pronounce in the way Siri understands – speak standard words. Siri requires an Internet connection, such as Wi-Fi or cellular, to work. If there is any network connection problem, then probably Siri won't work. Just go to Settings > General > Reset and tap Reset network settings to have a try. 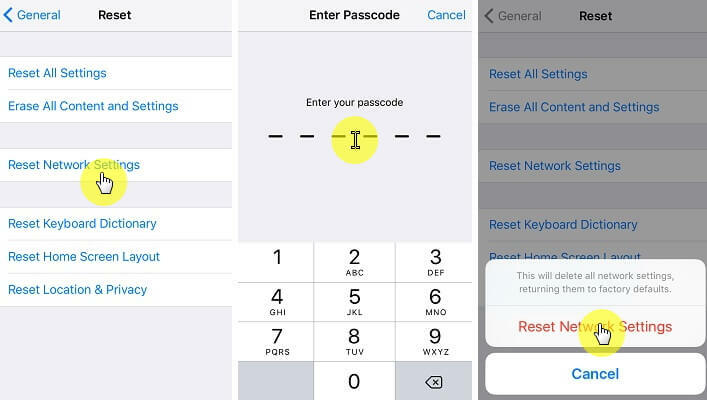 If reset network settings doesn't work, you can also try to reset all the settings of your iPhone by going to Settings=>General=>Reset=>Reset All Settings. 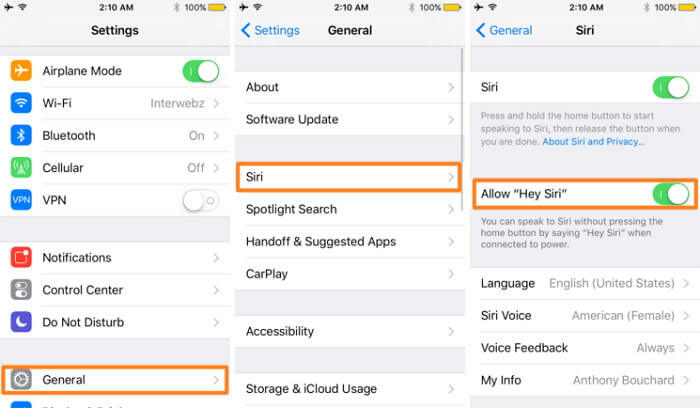 Update iOS system will probably solve some unknown Siri issues, including Siri won't talk and you can follow the steps as below to do so. 1. Tap on Settings > General on your iPhone. 2. 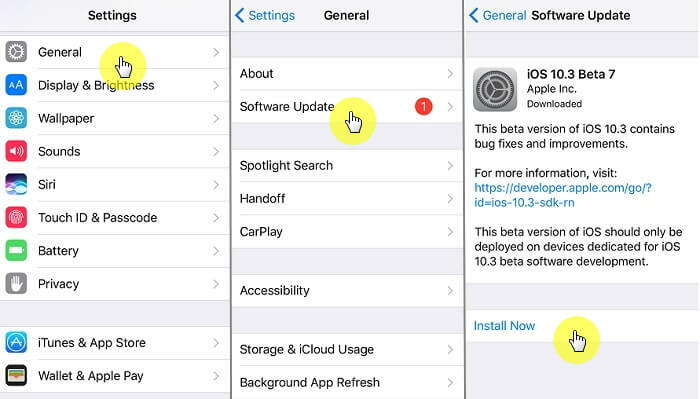 Tap on Software Update and iPhone will check for update automatically. 3. Tap on Install Now if new version is available. If Hey Siri not working on iPhone, or it cannot understand you anymore, probably Hey Siri isn't enabled or Siri is just not working in your device. Just enable or re-enable Hey Siri function to rescue. Go to Settings > Siri and then tap on Allow Hey Siri. Then iPhone will ask you to set it by saying Hey Siri several times so that it will recognize your voice. If Hey Siri is in the status of turning on, just turn it off and turn it on back and set up. Siri not recognizing voice may be resulted from iPhone dictation not working. 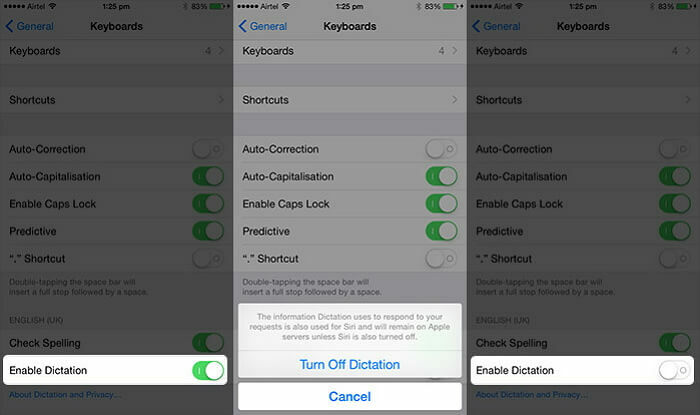 Just switch on or off the dictation function to make Siri re-work. 1. Locate Enable Dictation from Settings > General > Keyboard. 2. Just toggle it on. 3. If it is on already, turn it off and re-turn on. If the default Siri language is different with the one you are speaking, then Siri is not picking up voice. Go to Settings > General > Siri > Language on your iPhone, and then pick the correct language from the list. Hey Siri function won't work and of course Siri is not talking back if the low power mode is on. 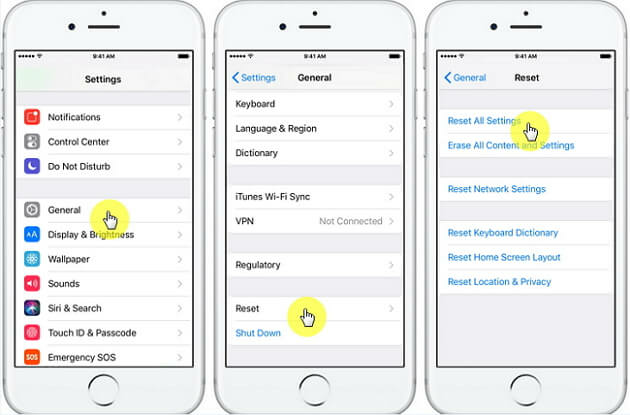 Turn it off as the following steps and then speak to Siri again. Go to Settings > Battery, and then check the status of Low Power Mode. If it is on, then you need to toggle it off. And according to our experience, restarting device often solves lots of issues. And force restart will help more. For iPhone before iPhone 7: Hold the Power and Home buttons simultaneously for at least ten seconds until the device reboots itself. 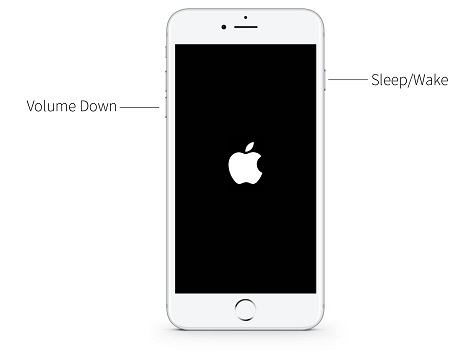 For iPhone 7/ 7 Plus: Press and hold both the Power and Volume Down buttons for at least ten seconds until the device reboots itself. 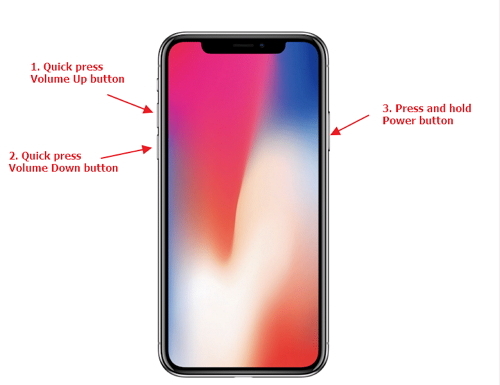 For iPhone 8/8 Plus/X, quick click Volume Up and then Volume Down button and then keep holding the Side Button until you see the Apple logo. If you tried all the methods above but Siri is not talking, still, then the problem may be caused by iOS issues on your iPhone. You can use iMyFone iOS System Recovery to fix the issue. As an iOS issues fixing expert, the tool can do more than you can imagine. 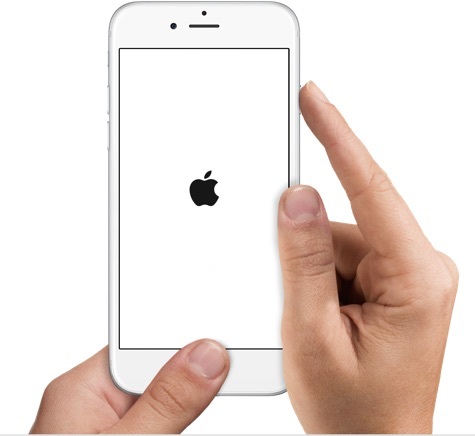 It can fix iOS problems without any data loss. 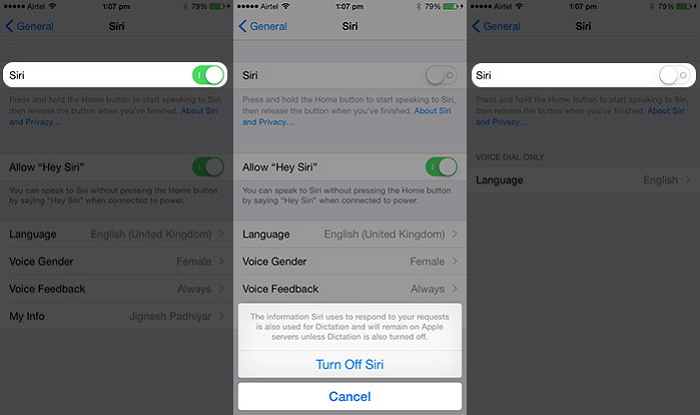 Troubleshoots Siri issues by standard mode (won't lose any data on device) or advanced mode. Fix different iOS issues such as iPhone stuck in Apple logo, iPad stuck in Recovery Mode, iPod touch is in black screen and more. Used and reviewed by lots of Apple users. Compatible with almost all iOS devices, including iPhone X and iPhone 8. 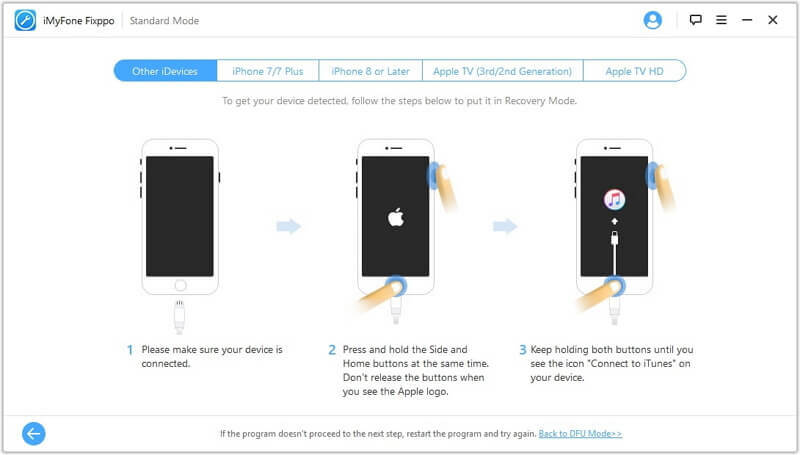 Here is the detailed user guide to fix Siri not working on your iPhone without data loss. 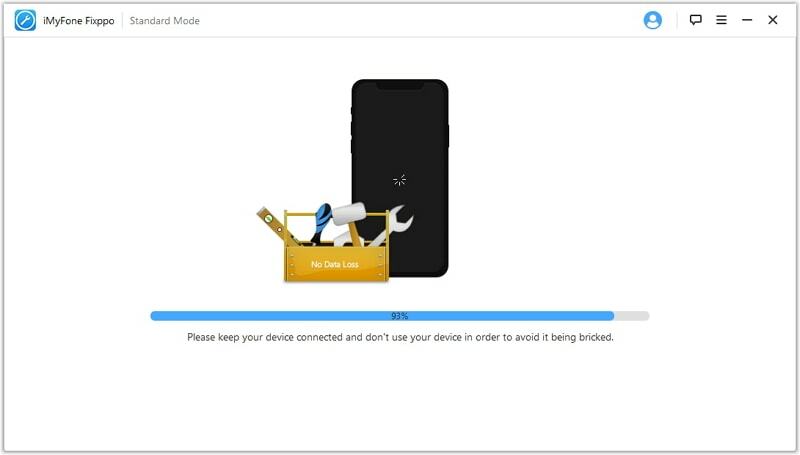 After installing and running the program, connect your iPhone with the program using an original cable. After clicking Standard Mode, this iMyFone program will show you instructions as below. Follow the instructions to get your device detected. 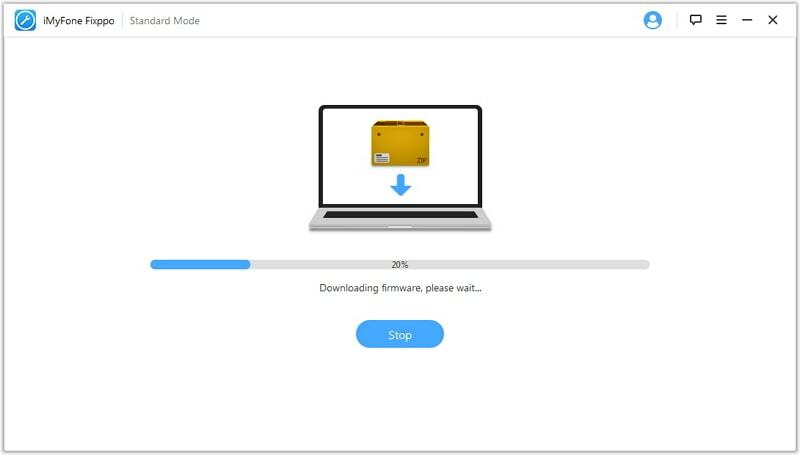 After you click Download button on the next screen, iMyFone iOS System Recovery will start to download the corresponding firmware package to fix the iOS problem with your device. Once the firmware package is downloaded, iMyFone iOS System Recovery (iOS 11.3 supported) will fix the Siri issues after you click the button Start to Fix. Your Siri will get back to normal after that. Now you have 12 tips on how to fix iPhone Siri not working and all of them work for iOS 12 and earlier versions. If you know other tips, please leave a comment.